The first narratives about the legendary Camino de Santiago date as far back as the 8th century. The Camino de Santiago, also known as St. James Way, stands out as one of the most important Christian pilgrimage routes in history with many journeying to Santiago de Compostela for over the last 1,000 years to the present. 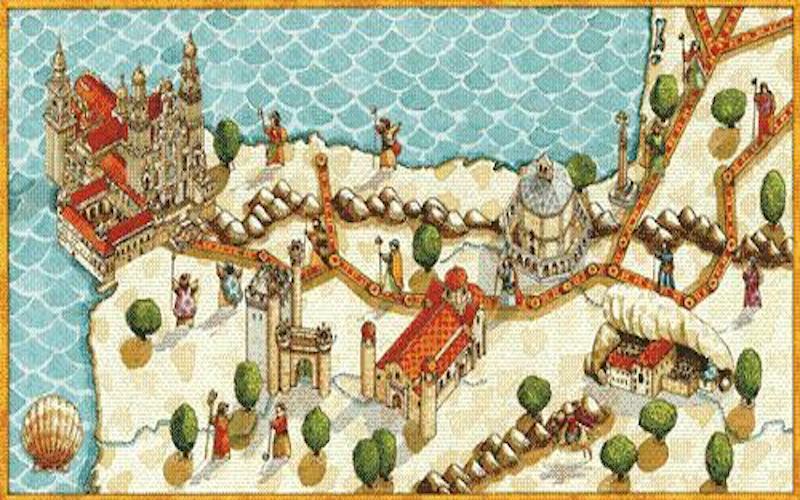 The Camino doesn’t follow just one route, although some are considered more important and historic than others and therefore attract more pilgrims. The most famous is the 800 km. (500 miles) long French Route thorugh Northern Spain. El Camino Francés. In the Middle Ages, traveling to St. James’ grave became very popular and many made the journey, perhaps the only major trip they made in their lives. The Protestant Reformation and political unrest that followed in the 16th and 17th centuries caused a decline in the number of pilgrims across Europe afterward. The number of visitors to Santiago de Compostela slowed each year, until the mid-20th century. Since the 1980s, however, the route has attracted an increasing number of pilgrims from around the world. Besides its spiritual significance, important towns and cities along the pilgrimage route offer travelers a sight of some of the most enthralling cultural and historical monuments in Spain. In 1993 Camino de Santiago became the first hiking trail inscribed on UNESCO’s World Heritage Site list. For many, the significance of contemplating the statue of the apostle St. James in Santiago de Compostela, his own cathedral and resting place is symbolic of purification, liberation and a new start in life. For others, the trip is an athletic challenge, and trekking Santiago de Compostela is the completes the challenge of successfully completing a major goal. But, whatever one’s initial intention, the walk holds great meaning for all, something to which only those who have undertaken the challenge can truly relate. Read more about the history here.